Roughly 310,000 more residential building permits were pulled in June 2015 than in the same month last year, a 30 percent increase in activity. Authorizations for these apartment units totaled 621,000. Single-family completions — which were at a rate of 647,000 — were up 10.6 percent compared to June 2014. The state’s single-family market in June experienced its first double-digit increase since May 2012. If sales activity maintains its June pace, CAR estimates 437,040 single-family homes will be sold this year. CAR reports that 35 counties witnessed double-digit increases in sales activity, with only four counties citing year-over-year decreases. Builder confidence for newly built, single-family homes recently hit a level of 60, the highest level seen on the HMI since November 2005. Builder confidence has been holding steady, as the HMI registered a score of 59 in June, a boost of five points since May. NAHB Chief Economist David Crowe said the June reading is in line with recent data showing stronger sales in both the new- and existing-home markets, as well as continued job growth. Mortgage applications for newly constructed homes increased by only 1 percent. 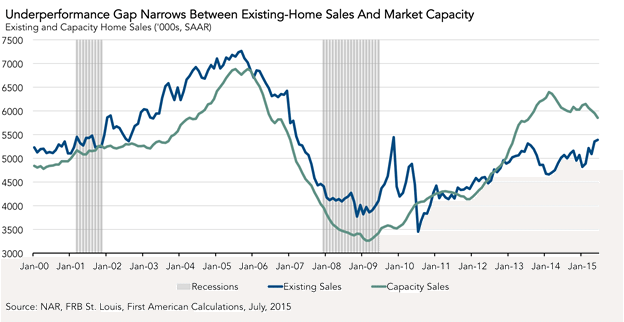 On an unadjusted basis, there were 45,000 new-home sales in June 2015, unchanged from May. In May, mortgage applications for new homes fell by 9 percent, the MBA said. 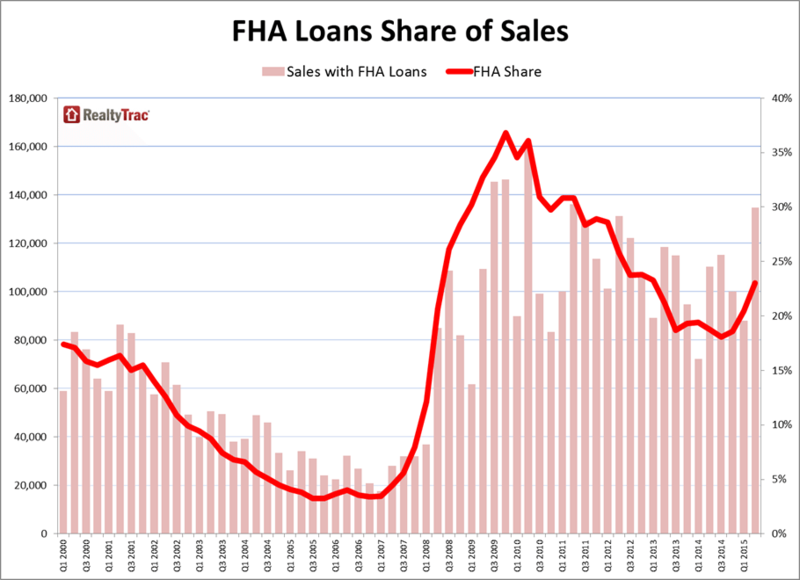 The association attributed the sluggish sales to housing price recovery. A 17-city analysis assesses whether it makes sense for homeowners to live close to where they work. In some places, suburbs had almost a 30 percent advantage, while in others, the advantage was in the city proper. 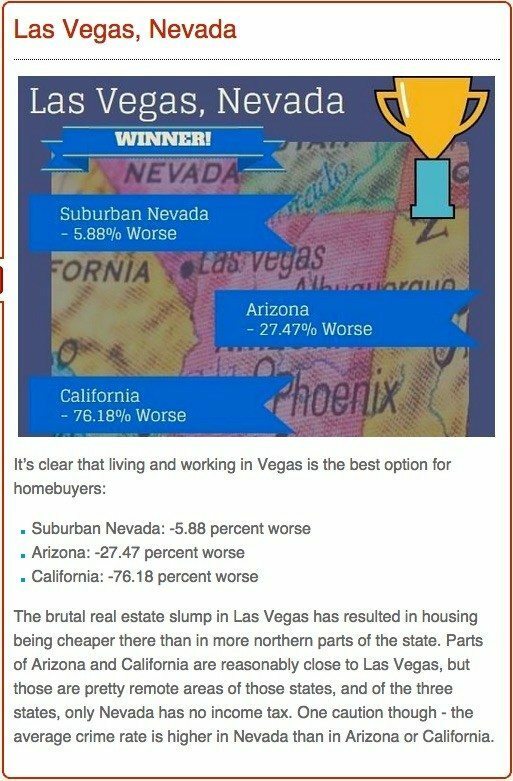 Cheap real estate and no state income tax make Las Vegas a good place in which to live and work. Homebuyers in Boston and New York would do best to look outside city limits. Quantitative easing by the European Central Bank could result in housing price bubbles in Germany, Norway and the U.K. Since 2010, average home prices in Norway have risen by more than 30 percent. In Germany and the U.K., values have risen by nearly 25 percent and 15 percent, respectively. The greatest risk of a bubble lies in Norway. Distressed sales, cash sales and institutional investment purchases hit multiyear lows in June. At the same time, sellers, on average, disposed of single-family homes and condos for above estimated market value for the first time in nearly two years. Daren Blomquist, vice president at RealtyTrac, noted that the housing recovery will continue to be dependent on traditional buyers who utilize financing. Home renovation professionals are having a banner year across different types of renovation specialization. 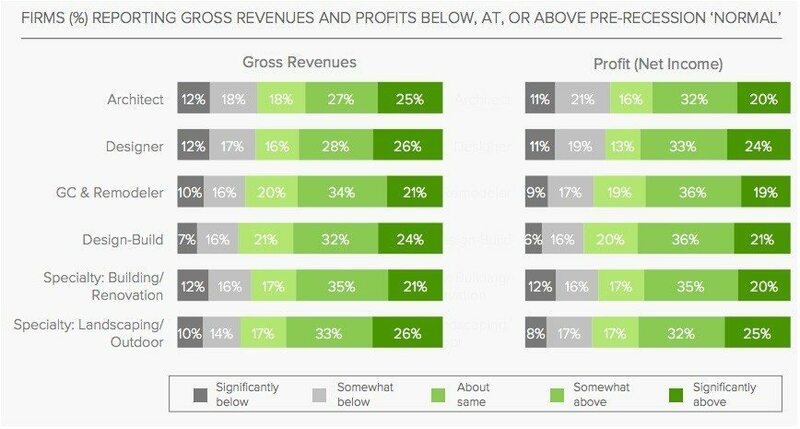 About a fifth to a quarter of firms reported that revenues and profits are significantly above normal levels, while a quarter to a third are reporting that they are somewhat above normal. Western architects are especially confident, as are Southern specialty firms. Year over year, there were 2,500 more sales in New England this June, an increase of 12.3 percent. 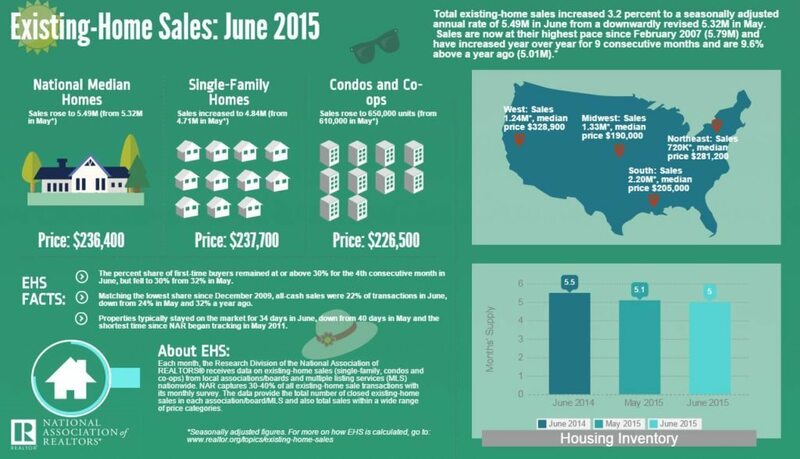 Pending sales were up 21.6 percent over June 2014, reaching 19,966. 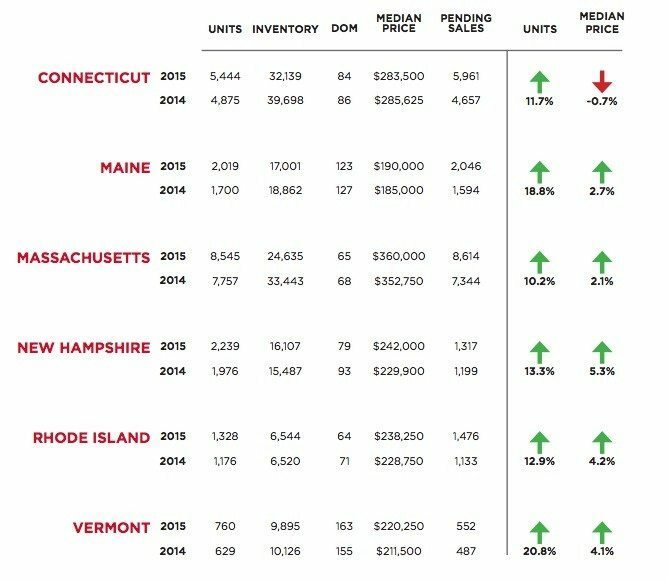 Month over month, New England saw a 34.4 percent rise in sales volume, a 5.7 percent spike in median price and a 7.1 percent increase in pending sales. 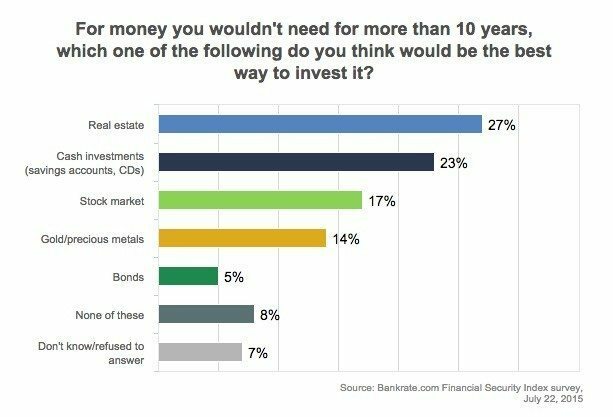 27 percent of Americans feel that real estate is a safe place to put money they don’t need for at least a decade. Men were more likely to favor real estate as an investment option, while women were more likely to favor cash investments. Other long-term investment preferences include good, old-fashioned cash (23 percent), the stock market (17 percent), gold and precious metals (14 percent), and bonds (5 percent). Nearly half of homes in the 10 largest U.S. markets lost value in May 2015. 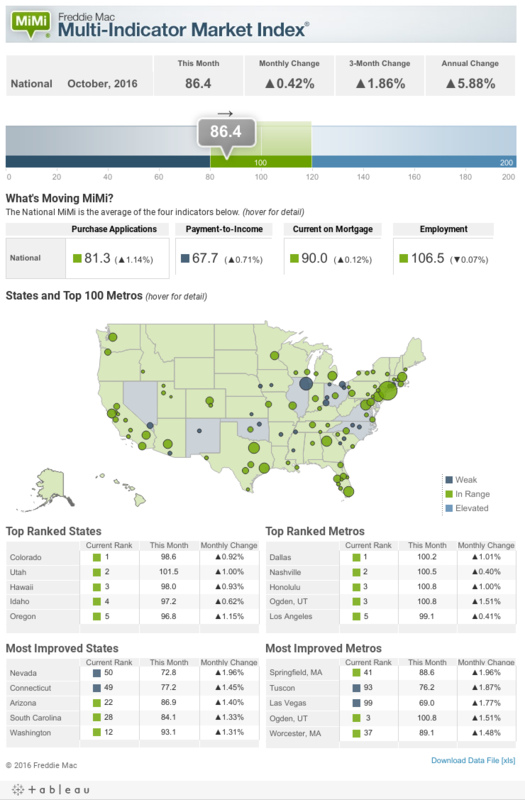 54 percent of homes in the 10 largest markets appreciated during May. 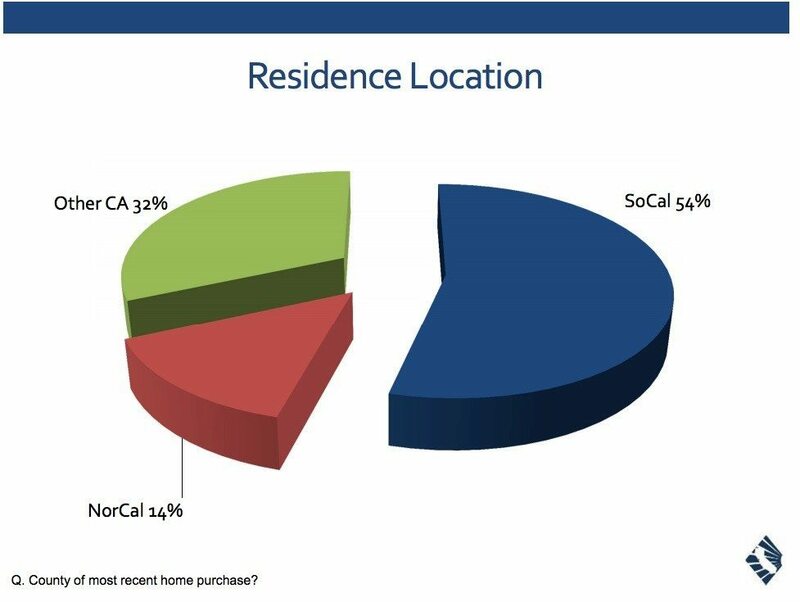 Los Angeles saw the biggest dip, with 94 percent of homes appreciating in May 2014, compared with just 46 percent in May 2015. The 2015 spring homebuying season was the strongest market seen since the economic downturn. Existing-home sales increased 3.2 percent to a seasonally adjusted annual rate of 5.49 million from May to June. Some NAR members are reporting drastic imbalances of supply in relation to demand in many metro areas, especially in the West. The existing-home sales capacity model rate rate decreased by 1.7 percent compared to May and 3.6 percent compared to a year ago. The current underperformance gap is 461,000 existing-home sales at a seasonally adjusted annual rate. This is a significant reduction compared to the sales capacity gap of 1.7 million existing-home sales in February 2014. The MiMi hit a value of 79.2 at the end of May — indicating a weak housing market overall but showing an improvement of 0.71 percent compared to April. Spanning the past three months, the index value has risen by 2.09 percent. On a year-over-year basis, the index’s value has improved by 4.35 percent. 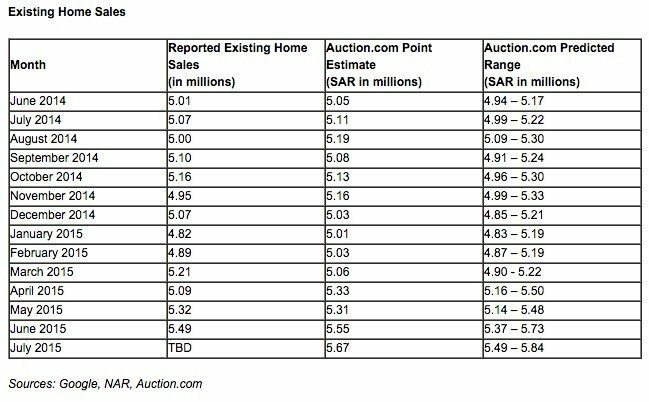 Auction.com expects existing-home sales for July to fall between seasonally adjusted annual rates of 5.49 million and 5.84 million annual sales. “May and June existing-home sales have both been very encouraging for anyone looking for proof that the housing market is in recovery,” said Auction.com Executive Vice President Rick Sharga. This steeper-than-expected increase may price some buyers out of the market. 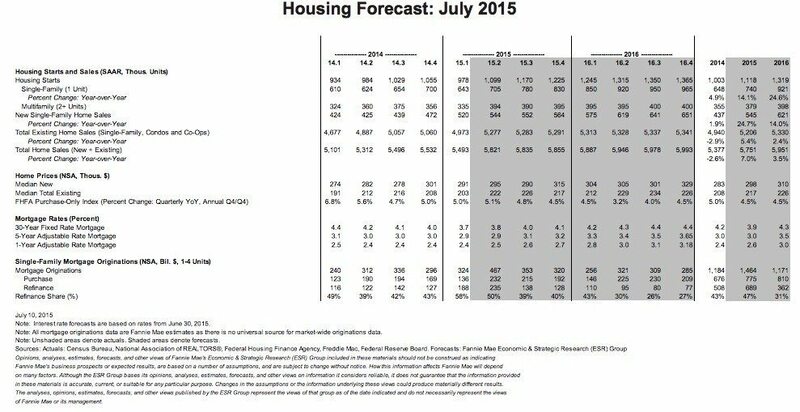 Fannie Mae raised its forecast for July home sales from 5.65 million to 5.75 million. The government-sponsored entity said improved consumer spending, residential investment and a waning drag from net exports are expected to boost economic growth by 2.8 percent annualized in the second quarter. “We expect to see strong sales, lean inventories and rising confidence through the rest of the year, which should support increased homebuilding activity and give an added boost to economic growth,” said Doug Duncan, Fannie’s chief economist. The forecast has jumped to $801 billion this year, up $71 billion from the association’s prior estimate. Next year, we may see $885 billion in purchase originations, an increase of $94 billion from the association’s previous forecast, MBA said. “The housing market recovery has shifted to a higher gear,” said MBA Chief Economist Mike Fratantoni.